Satos are like snowflakes — from their distinctive ears to their signature tails to their unique personalities — no two are alike. FAQ: Why Does ZFF Rescue Internationally? We often get asked why we rescue internationally but not locally. We do BOTH! Find out more! Do you know the differences between ALL the different types of kitty litter? Do you know the best place to set up your cat's litter box? We have the answers to all your kitty toilet questions! Be a hero and help us save dogs and cats in need! No amount is too small. Your contribution will help us continue to save lives. Help you find the perfect furry companion for your family and to help all our rescues to find the forever home they so deserve. Cats and dogs we place are generally well-socialized family pets who came to the city shelter or were abandoned through no fault of their own. We rescue kittens and puppies, nursing moms and litters, adults, seniors and special needs cats and dogs who deserve another chance for a loving home. Zani was the heart and soul dog of the founder of this group, a wonderful parti-colored Cocker Spaniel. The creation and work of this group was our founder’s way of honoring this incredible dog who touched her life so deeply. 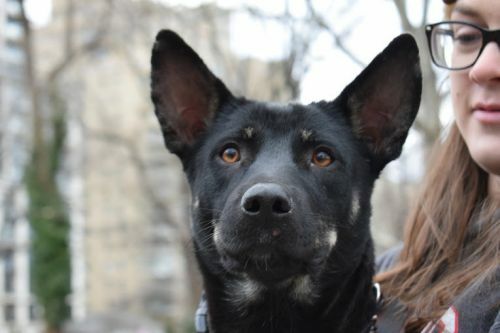 Zani’s Furry Friends ZFF, Inc is a 501c3 non-profit organization committed to rescuing companion animals predominantly from New York City shelters where, unfortunately, they are at significant risk for euthanasia due to overcrowding. Beyond directly helping the animals we save, their rescue creates space at the shelter—thus giving another shelter cat or dog a chance for adoption or rescue and thereby potentially saving yet another life. Our mission is to help you find the perfect furry companion for your family and to help our rescues find the forever homes they deserve. Our population has expanded to include immigrant rescue cats and dogs from Puerto Rico, Egypt, Jordan, Kuwait, Qatar, Russia, Thailand and Nepal. Although not always sure of the pedigree or background of each cat or dog, those we place are generally well-socialized family pets who came to shelters through no fault of their own. We rescue kittens and puppies, nursing moms and litters, adults, seniors and special needs cats and dogs who deserve another chance for a loving home. We are always happy to answer any questions you may have about adopting a new pet and will gladly provide any support needed throughout the adoption process and after you bring your new furry companion home. An experienced team of volunteers, fosters and trainers are always available for assistance. Please submit either a cat adoption application or a dog adoption application if you are interested in one of our adoptable pets, a foster application if you are interested in fostering, and a volunteer application if you can help out. 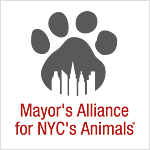 We are a member of the Mayor’s Alliance, a New Hope Partner with the Animal Care & Control of New York City and also with the AHS of Newark, NJ, and work with many rescue organizations internationally.